Have you ever come upon a place so striking and beautiful that seeing it made you gasp? 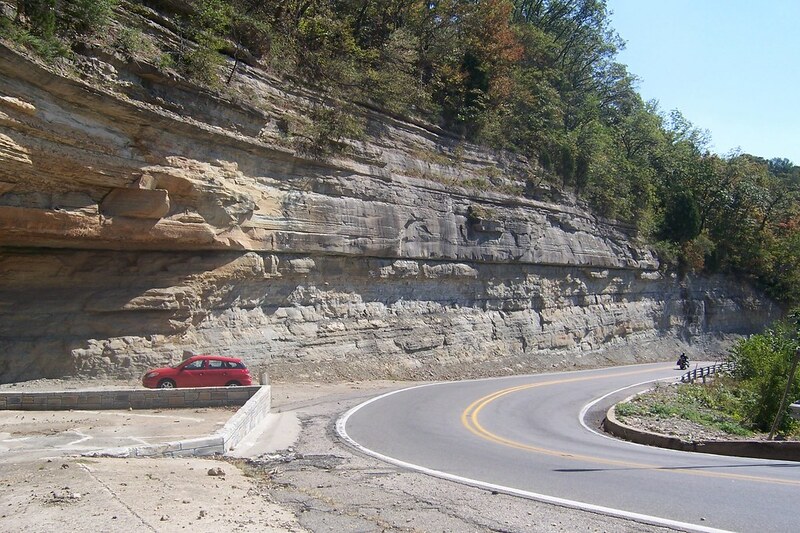 This is Hanging Rock Hill on State Road 7 in Madison, Indiana. I drove through here a couple Saturdays ago and even though this wasn’t my first visit, I was surprised to hear myself saying “Woooooow!” when it came into view. Water usuallly pours off the rock and drains in the large grate (next to my car in the photo), but it was only trickling this day. 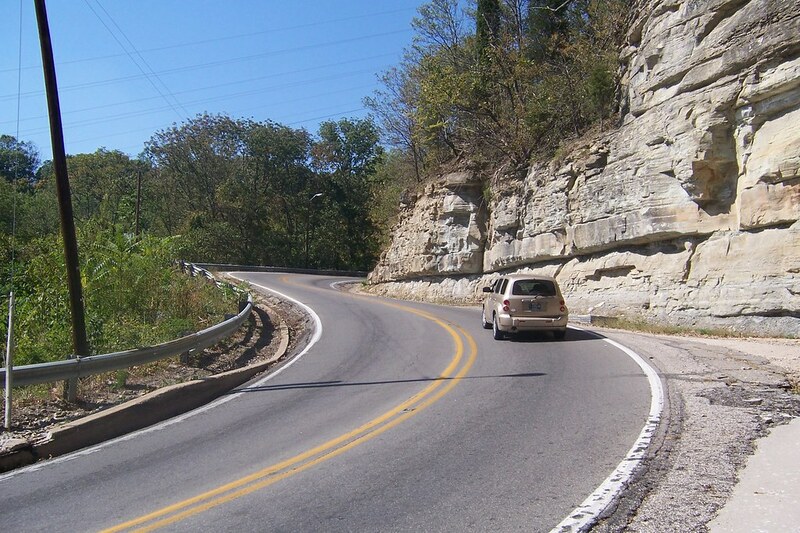 The stretch of State Road 7 on Hanging Rock Hill is steep and curvy. It doesn’t stay that way for long, but it’s fun while it lasts. The photo in this link shows the rock formation and the road as it was in around 1920. 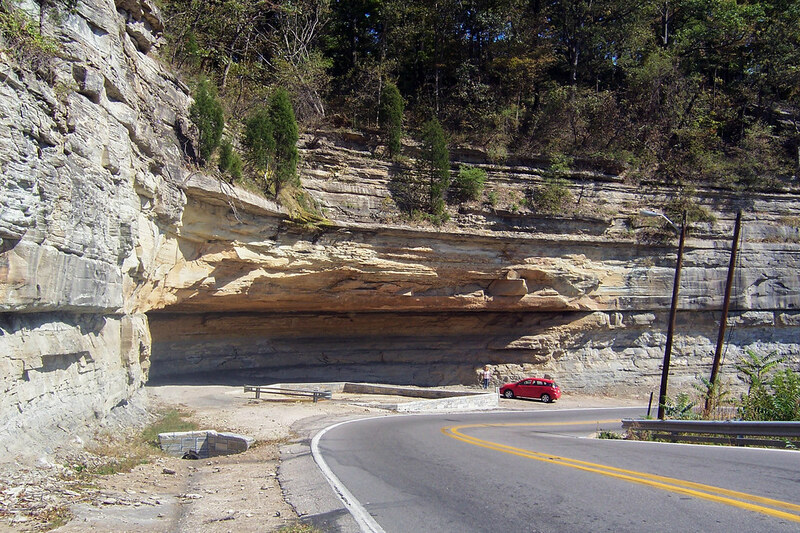 Notice how the road used to run under the rock, behind the waterfall – where the shoulder is today. What a view that must have been! I can imagine the scenery would be even more stunning now that the leaves are changing. Great shots Jim, you really do have to see it after a heavy rain it is really impressive !!! Bernie, it is really hard to get a bad shot here! I like the old photo. There were a few places in Great Smokey Mountains NP that had some overhangs above the road, but nothing quite that dramatic looking.